With cosmetic procedures, dermatologists treat the skin, hair, or nails to improve appearance, rather than treat a disease. Cosmetic dermatology procedures can help you look and feel your best. These procedures help to rejuvenate damaged skin and focus on repairing the problems that interfere with the good health of our skin. With cosmetic procedures, dermatologists treat the skin, hair, or nails to improve appearance, rather than treat a disease. The improvements cosmetic procedures create can dramatically boost a patient’s confidence and self-esteem. River Ridge dermatologists are board-certified and experienced in performing cosmetic dermatology procedures. If you are scheduled for or considering a cosmetic dermatology procedure, take a look at some of the post procedure information sheets below. Please feel free to call us at any time if you have a question or concern. Giving your face a refreshed appearance. Y LIFT® is an effective procedure for both men and women. Performed under local anesthetic, there are no incisions and there is little to no downtime following the procedure. 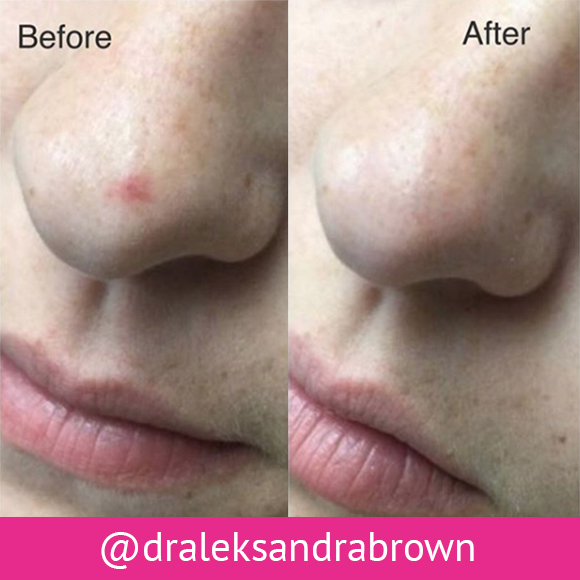 Dr. Aleksandra Brown is the first certified Y LIFT® provider in the state of Virginia. She was trained by founder, CEO and creator of the Y LIFT®, Dr. Yan Trokel. Slim down and tone up. Our package combines three effective services that help you see fast results. The CoolSculpting® fat-freezing procedure is the only FDA-cleared, non-surgical fat-reduction treatment that uses controlled cooling to eliminate stubborn fat that resists all efforts through diet and exercise. VelaShape® helps contour the body using a combination of technologies, reducing trouble spots in as little as three treatment sessions. B12 shots and MIC injections can help increase energy and metabolism, boosting the body’s natural fat-burning capabilities. 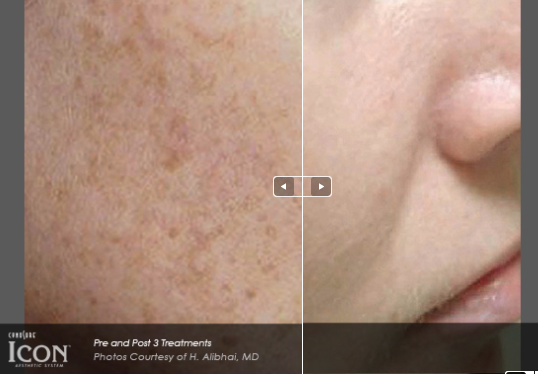 Technology goes beyond single-wavelength lasers to treat multiple skin issues. The system achieves fast and excellent results using its high peak power and state-of-the-art cooling technology. It can be used for the chest, arms, hands, and the removal of finer and lighter hair. The best time of year to benefit from Icon™ treatments is winter or spring. In addition to optimized light and laser technology, we also offer laser therapy. It can be used for leg veins, brown spots, and lesions. Diminish fine wrinkles and rejuvenate your upper face. Soften forehead lines and crows feet around the eyes. BOTOX® and Dysport® are popular, non-surgical injections that can temporarily reduce frown lines, crow’s feet, and other creases. 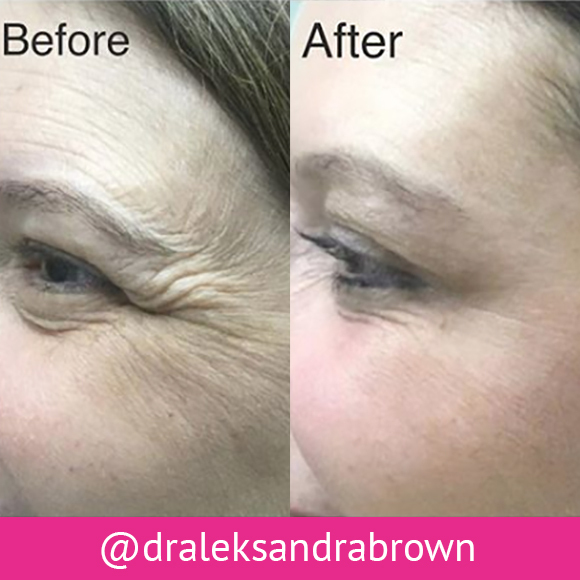 This prescription injection of botulinum toxin provides a more natural look for adults aged 65 and younger. The injection blocks muscular nerve signals, which weakens the muscle and can diminishe unwanted facial wrinkles. Juvéderm® and Restylane® are both hyaluronic acid treatments. This acid is a natural substance and is found in every living thing, including your body. When the liquid is injected, it acts like an inflated cushion to support facial structures and tissues, which may have lost volume or elasticity due to normal aging. The process also brings water to the surface of the skin to help keep it looking fresh and supple. We offer these dermal fillers: Juvéderm, Restylane, and Restylane Lyft. Platelet rich plasma (PRP) is a natural product that is created by your own body. We offer two types of PRP procedures: microneedling and injections. Microneedling PRP promotes your own collagen to grow, regenerates tissue, and acts to tighten and smooth the skin. * It can be used to diminish fine lines, wrinkles, and acne scarring. At least three treatment sessions are recommended for fine lines and wrinkles, and at least six sessions for acne scarring. 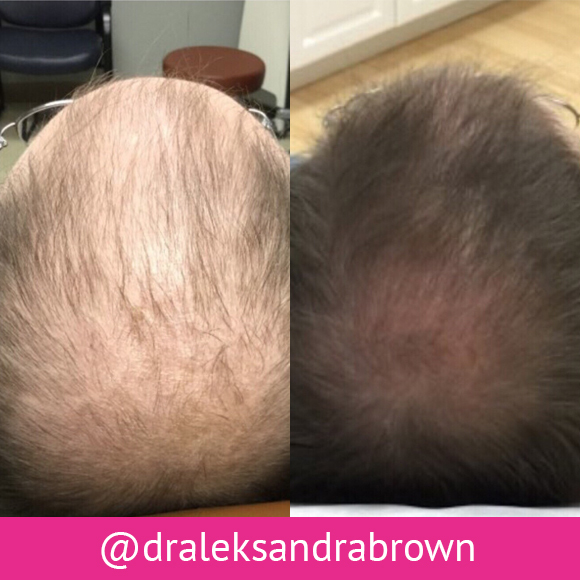 PRP injections are used to combat hair loss, increasing hair thickness and stimulating new hair growth. During the procedure, your doctor withdraws a small amount of blood and spins it down in a centrifuge to separate the components. After the removal of red blood cells, the remaining concentrate of platelet rich plasma protein is injected into the scalp. Four injections once a month are recommended, then two to three per year for maintenance. Brighten your complexion. Refresh, revitalize and rejuvenate damaged skin. Chemical peels smooth the texture of your skin by removing the damaged outer layers. Your skin may peel or flake for a day or more, and you must take care to protect it from the sun. Around the third day your skin should appear more soft and luminous. * Peels are used mostly on the face, but can also be used to improve the skin on your neck, chest, and hands. Microneedling creates controlled micro-injuries to the skin producing collagen and elastin. The result is plumper, firmer skin for improved tone and texture. Dermaplaning is an exfoliation technique that helps remove dead skin cells and fine vellus hairs, making skin smoother, brighter, and more absorbent. The provider gently scrapes your skin with a small blade, then applies a soothing serum and SPF lotion. CO2RE laser treatments resurface facial skin and encourage the production of healthy new skin cells, resulting in complete facial rejuvenation in as little as one treatment. Never underestimate the rejuvenating power of a deeply cleansing facial. We offer customizable spa-level facials with exfoliation, extractions, and hydrating masks. The laser has an adjustable wavelength capability, which allows your provider to create a customized approach for every patient. Treatments are suitable for darker and lighter skin types. It also has a cooling system built in, so treatments have minimal to no discomfort, unlike other laser treatments. Treatments are also faster because they can target a larger spot size. Laser treatments are also available for leg veins, brown spots, and lesions. We can create a plan that best suits your needs and desired outcome. Self conscious about spider veins and broken capillaries? Fall is the ideal time to start Sclerothreapy and achieve noticeable results by spring. The procedure typically requires 2-3 treatments that are 6 weeks apart. Patients need to wear compression stockings for about 48 hours and should return to full activities as soon as possible, including exercise. We also treat broken capillaries on the face and bodily extremities using Vbeam Pulsed Dye Laser (PDL) and Intense Pulsed Light (IPL) treatments. Even the deepest facial vessels can be cleared with uniform heating across the vein and high peak power. Resurface skin impacted by scarring. Scars can be an unwanted reminder of a traumatic event or damage to the skin. Whether it was a difficult surgery or adolescent acne, you just want them gone. Our fractional, non-ablative laser resurfaces the skin and minimizes marks left by surgical scars, acne scars, and stretch marks. Using various microlenses, we can customize treatments for high-speed quick sessions or deeper penetration to smooth even the toughest scars. Our CO2RE laser is a powerful tool that can minimize acne and surgical scars, reduce wrinkles, and rejuvenate facial skin. Versatile and effective, the CO2RE can treat surface-level marks and deep scarring simultaneously. Our Vbeam Pulsed Dye Laser (PDL) technology improves stretch marks and reduces scarring, dark acne marks, and red spots. 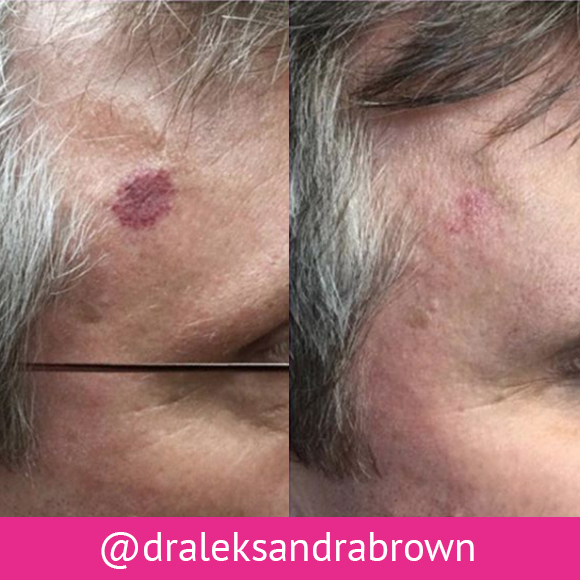 Rosacea redness, cherry angiomas, broken capillaries, and birthmarks can easily be reduced with our various treatments. In addition to oral and topical medications, we also offer laser therapy. Minimize sunspots, age spots, and discoloration. Malasma, dark spots, and birthmarks are common skin conditions. We target these pigmentation issues with creams and chemical peels, in conjunction with state-of-the-art laser treatments. The Perfect Derma Peel™ uses the powerful anti-oxidant Glutathione to lighten and brighten the skin. It's safe, effective, and works well for melasma or dark spots. We also use optimized light technology to treat unwanted pigmented lesions on the face, chest, arms, and hands. Medium-depth Trichloroacetic (TCA) Peel exfoliates and renews the skin on a superficial to deep level. TCA is commonly applied to the face, neck, décolleté, hands and legs. 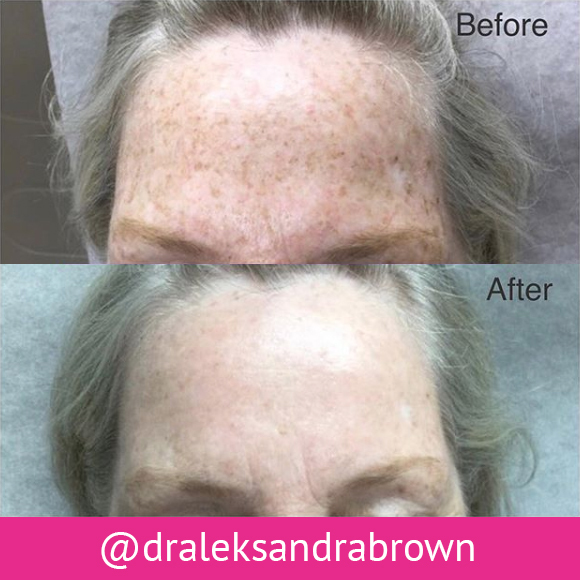 TCA is also an excellent spot treatment and can be used to target isolated areas of the skin, reduce brown spots, and minimize wrinkles. We also use optimized light technology — Intense Pulsed Light (IPL), CO2RE, and Vbeam Pulsed Dye Laser (PDL) technology — to treat unwanted pigmented lesions on the face, chest, arms, and hands. Y LIFT® is a registered trademark of Yan Trokel, MD. VelaShape® is a registered trademark of Syneron Canada Corp. CoolSculpting® is a registered trademark of Allergan, Inc. BOTOX® is a registered trademark of Allergan, Inc. Dysport® is a registered trademark of Ipsen Biopharm Ltd. Juvederm® is a registered trademark of Allergan Holdings France SAS. Restylane® is a registered trademark of Nestle Skin Health S.A. PALOMAR ICON™ is a registered trademark of Palomar Medical Technologies, Inc. The Perfect Derma Peel™ is trademarked by Bella Medical Products.